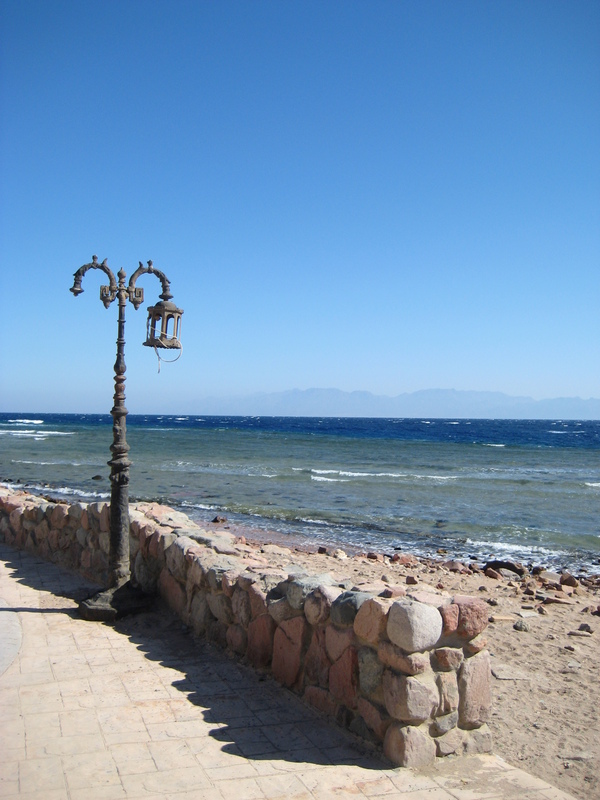 A fellow traveler in Dahab asked: where have you visited that you felt you could just get lost and stay indefinitely? It’s no coincidence that this question was asked in Dahab and it’s the first place where I’ve truly felt like that. It’s the kind of place that makes you want to be a beach bum, a surfer bum or, in this case, a diving bum (that’s a thing, right?) for the rest of your life. 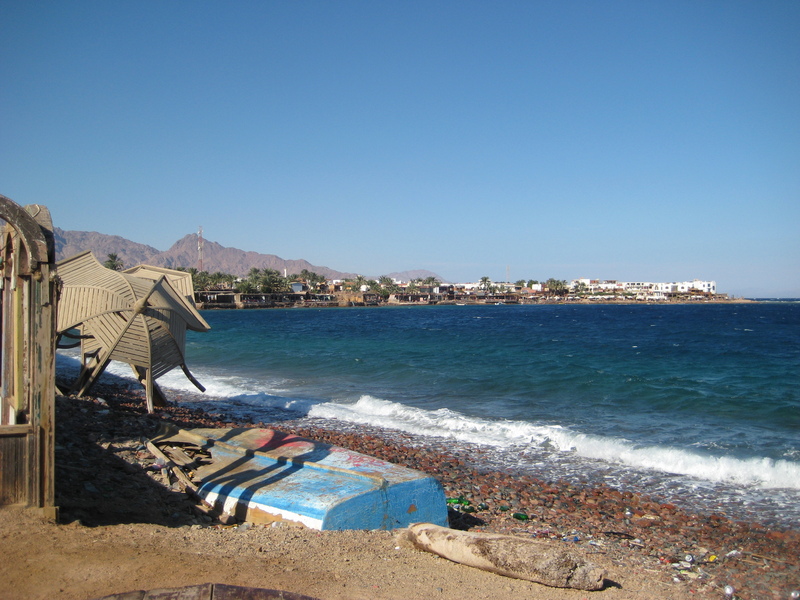 Dahab is located on the Red Sea in Egypt and it has that perfect mix of sleepy chill vibe, tourist friendly infrastructure and not too much hassle. The ocean strip has a long promenade lined with ocean side cafe/restaurants on one side and hotels/tourist shops on the other. Diving is cheap and world renowned here and there are so many great spots for diving and snorkeling alike. Shisha is popular and it’s the perfect way to relax and enjoy the atmosphere. This seaside destination has not been as popular with tourists since the Egyptian revolution in 2011 and it’s evident in how empty most of the strip still is. I sincerely hope this town is getting enough visitors for sustainability and I equally hope the town doesn’t sell out. I fell in love with Dahab on day 1 of my arrival and it made me immediately aware of my limited time there. As I did my best to enjoy every moment of my time, I could already feel each day slipping through my fingers. Don’t lose your spirit, Dahab! I’m coming back some day and next time I might not leave.